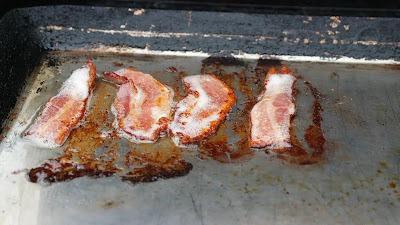 I saw a sandwich like this on some Yahoo article but forgot where it was from....somewhere in California I think. Anyways, this sandwich was awesome and if you are out of muffins/biscuits its a perfect idea. 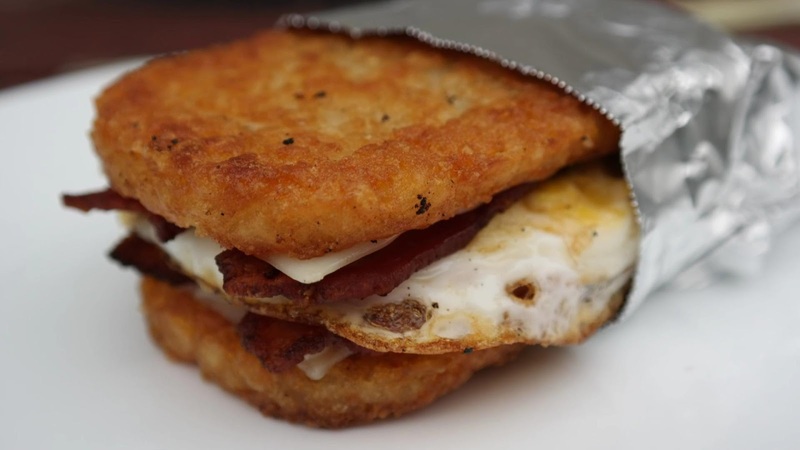 I really hope you give this breakfast sandwich a try. 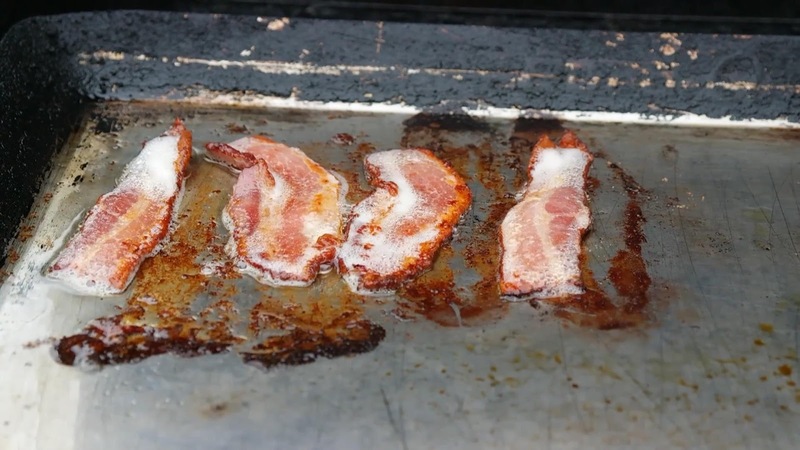 Using a griddle cook up two slices of bacon (cut in half) and two hash brown patties. When the hash browns are nice and crisp, put 1 slice of American cheese on each. 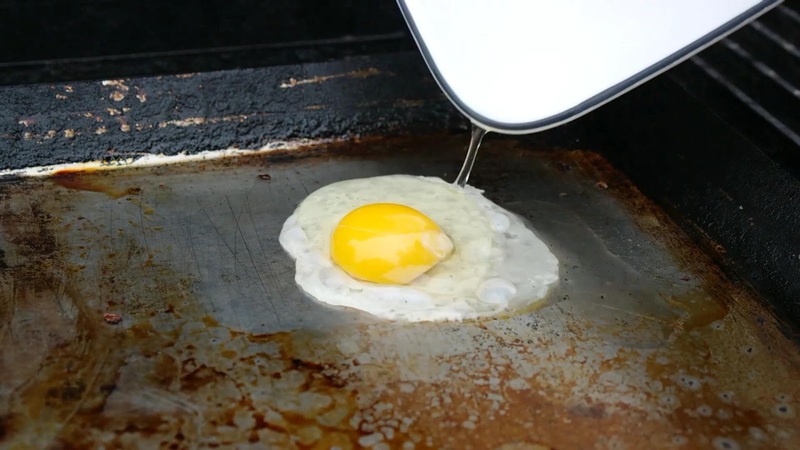 Fry/cook up an egg any way you like. 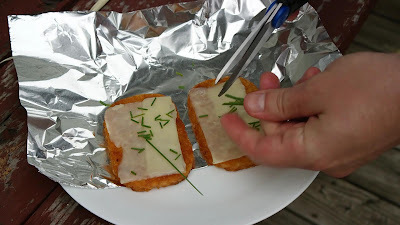 Chop up some chives onto the cheese side of each hash brown. Hash Brown - Cheese - Chives - Bacon - Egg - Bacon - Chives - Cheese - Hash Brown. Wrap in Foil and enjoy!